A Special CBI Court on Tuesday rejected the discharge petitions filed by two former police officers —DG Vanzara and NK Amin, who are accused in the Ishrat Jahan alleged fake encounter case. 19-year-old Ishrat Jahan, along with three others—Javed Shaikh alias Pranesh Pillai, Amjadali Akbarali Rana and Zeeshan Johar—was gunned down by the Gujarat police in an “encounter” in the outskirts of Ahmedabad on June 15, 2004. Justifying its action, the crime Brach had claimed that the four of them were Lashkar-e-Taiba (LeT) operatives who were planning to kill then Chief Minister Narendra Modi. However, a Special Investigation Team set up by the Gujarat High Court had concluded that the encounter was “fake”. The Court had then transferred the case from the State Police to the CBI, which had filed the first charge-sheet in 2013, naming seven police officials as accused. 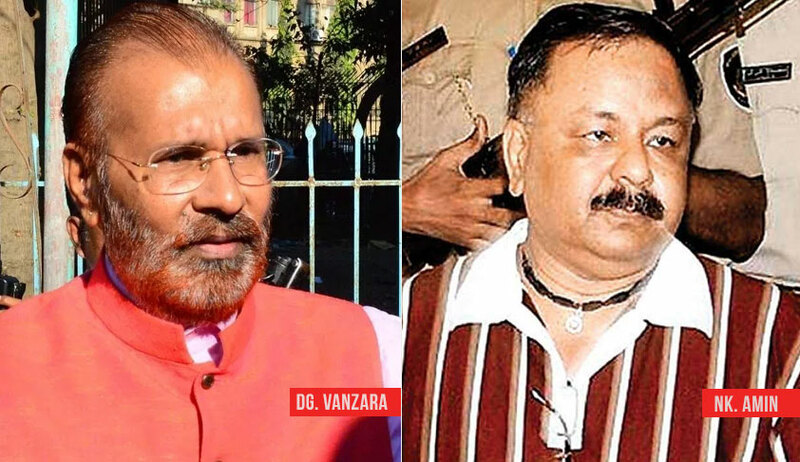 Vanzara, who was the Gujarat Deputy Inspector General then, has been accused of planning the encounter that was allegedly staged by a joint team of the Gujarat Police and officers of the Intelligence Bureau. Amin, who was the Superintendent of Police then, is a co-accused in the case. He had in fact accused one Satish Verma, IPS of concocting the entire story to finally drag in then Chief Minister Narendra Modi as an accused in the case. He had further claimed that the statements of witnesses in the case are also “highly suspicious”. Similar submissions were made by Amin. Special CBI Judge JK Pandey however reportedly opined that the two officers cannot be discharged on parity with Pandey, noting that they had a “greater” role to play than the retired DGP. It further asked the CBI whether it wanted to obtain sanction under Section 197 of the CrPC from the Central Government for prosecuting the two former officers. Demanding clarity on the process of sanction, the Court has fixed the next date of hearing on September 7, when charges would be framed against the two officers.